It was this song which included Foxglove that gave me the idea to start a witch’s garden. 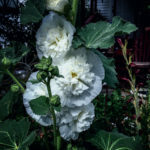 It was in the spring of last year when I saw my foxglove was in bloom that I recalled poor Charlotte of the Rake’s song, and got to wondering what other deadly plants might be scattered throughout the yard. 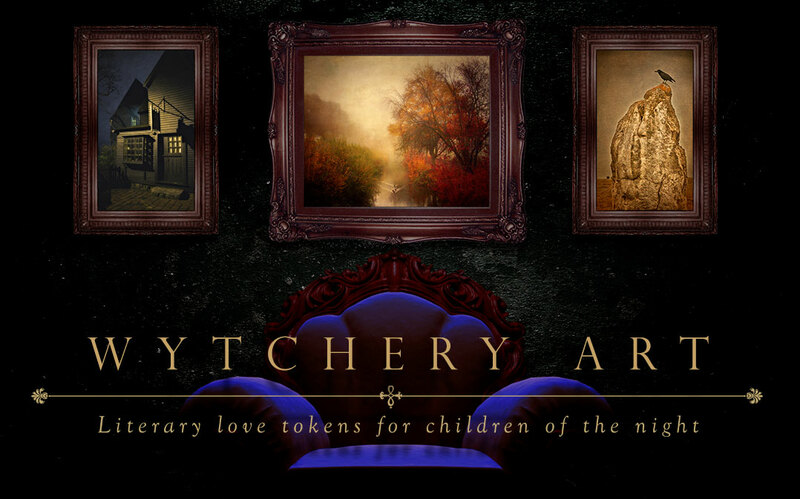 It was this song that gave me the idea to start a witch’s garden. 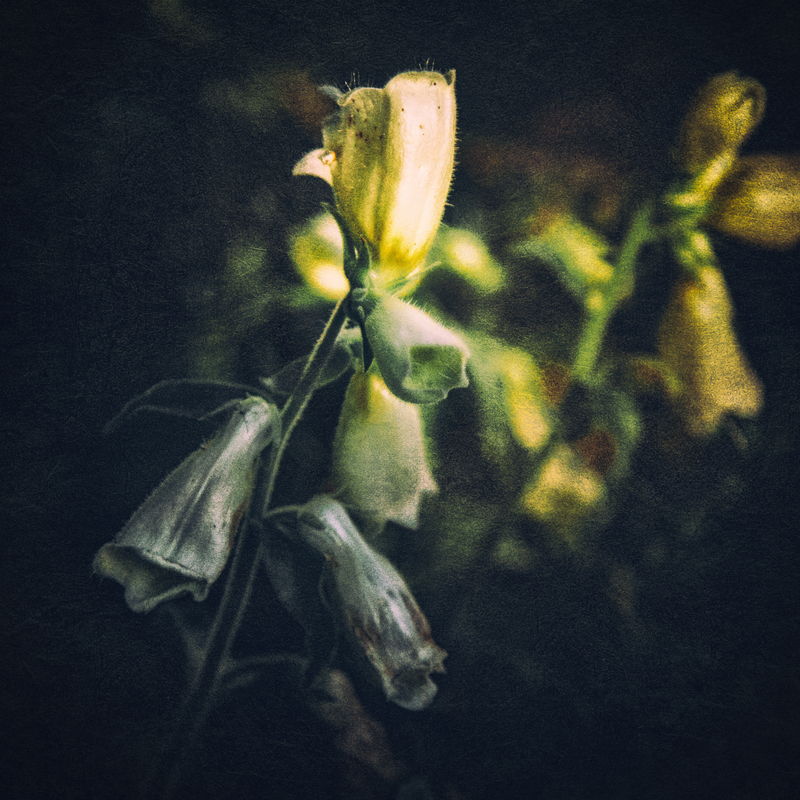 It was in the spring of last year when I saw my foxglove was in bloom that I recalled poor Charlotte of the Rake’s song, and got to wondering what other deadly plants might be scattered throughout the yard. Foxglove, more properly known as Digitalis is a perennial with sweet little bell shaped flowers, which if administered in high enough doses can lead to nausea, vomiting, diarrhea and death. Fatalities in humans is rare, though not unheard of, especially in children. A mistaken flower made into a tea, or drinking the water from vases are common ways of the poison finding its way into kids. Even animals find ingesting foxglove digitalis a distasteful experience. Another side effect of digitalis poisoning is a slowly decreasing heart rate, which if misdiagnosed and given electric shocks to kick the heart back up to speed, or giving the patient the standard defib medication tachycardia, actually makes the problem worse. So it’s always a good idea if you have little ones, or adults who for one reason or another tend to eat the flowers in your garden, to give them a heads-up on avoiding this plant. Among the Roman gods, Juno, the wife of Jupiter found her husband’s ability to conceive with other women, but not herself irksome. After Minerva sprang from the thigh of Jupiter without the aid of a women at all, Juno went to the goddess of Flora, whose realms included all things vegetative in the world. Flora slipped a foxglove bloom on her thumb and lightly touched Juno’s stomach and breasts, with the result being instant conception. Juno went to the nearest beach and spontaneously birthed her son Mars. 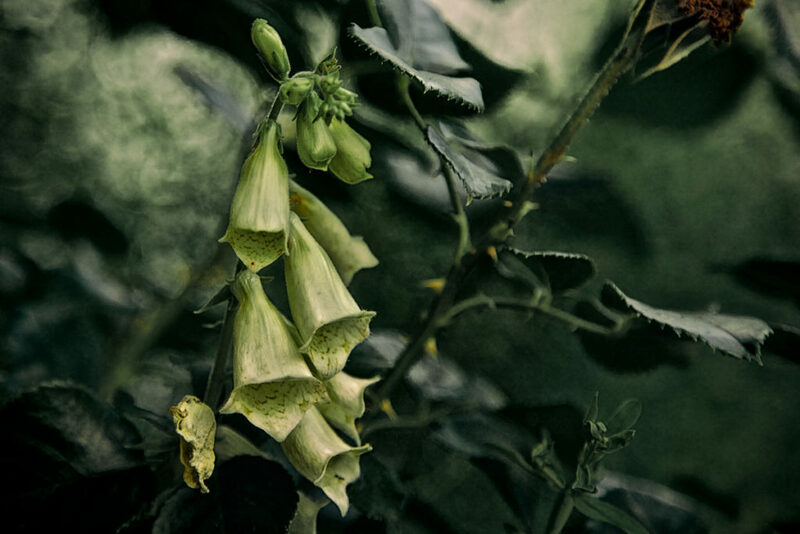 Though the name foxglove likely has nothing to do with foxes, but more likely a corruption of folk’s glove, there are a few antecedents in folklore mentioning foxglove. In Scandinavia, it’s believed that the fairies taught foxes to ring the little bells, to warn other foxes of approaching hunters. It’s also thought that their tiny feet were made quiet by wearing the gloves, better allowing them to raid the nearby henhouse. 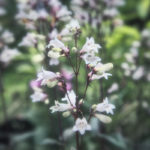 Fairies are quite fond of the flower, as are butterflies and bees, and it’s believed that if you wish for the fair folk to make a home in your garden, plant some foxglove where you wish them to live. It’s was also believed that taking foxglove allowed people to communicate with the fairies, likely right before their heart kicked off. 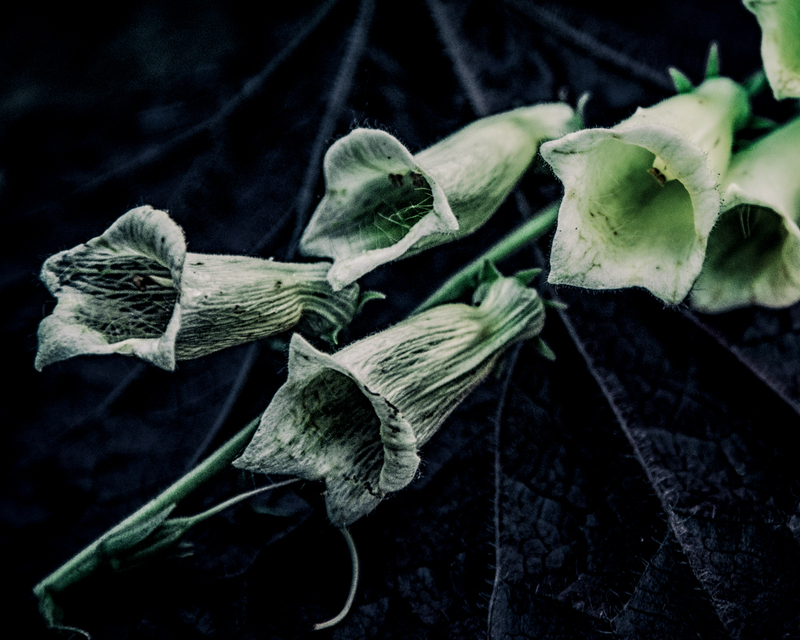 Fairies were often depicted with a foxglove bell for a hat, and oddly enough, though foxglove is used to lure fairies, it was also believed that it was effective in breaking their enchantment over humans. 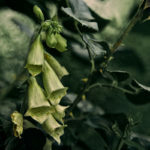 Eventually medical science caught up with folklore and herbalists, and foxglove is still used in medicine to this day. 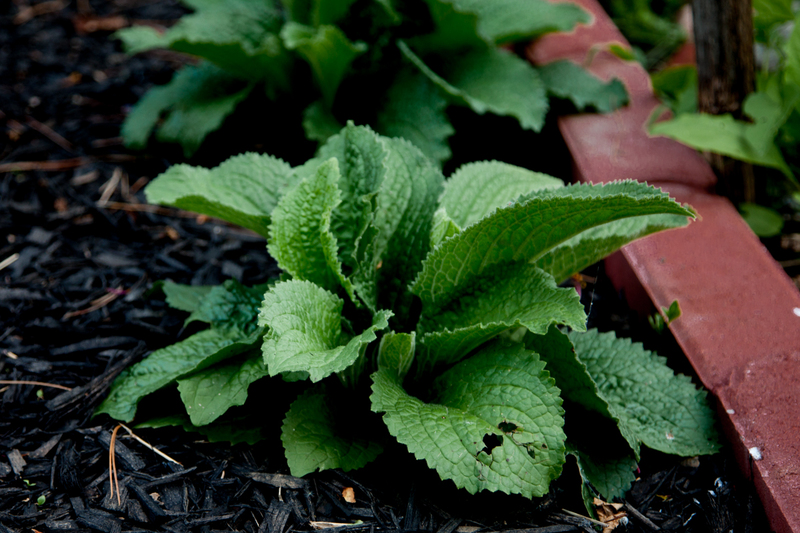 Foxglove likes partial shade to shady areas, with moist and slightly acidic soil. Clear a patch of ground in your garden which fits this description and sprinkle the seeds directly on the ground in springtime. A light dusting of dirt on top won’t hurt, but no mulching. The first year you’ll get just a rosette, followed the second year by flower spikes. 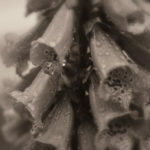 In the right climates, foxglove will grow sprouts, which if you allow to grow brown will contain seeds. Foxglove also reseeds itself if you don’t pluck off the flowers. Strawberry Foxglove demonstrating the tendency of the plant not to do much of anything the first year. Some varieties, if the gods smile upon you will produce a rosette, with the distinctive flowers appearing the second year. A look at plants, ideas, resources, moon gardens, herbalism and how I became the witch’s gardener. Gardening with a history.